Food process or simply called fast food and junk food are types of food that less good for health because these foods containing nutrients that are insufficient and not good for our health. In addition, fast food is not a balanced diet according to the standards of food based on the food pyramid. Based on the research, fast food is not necessarily inedible or harmful to our health if the meal is taken in small amounts. But the problem is occurred, when fast food is often taken, it can cause adverse effects to our terms of nutrition. Fast food and junk food are eaten without control will expose a person to a variety of diseases. Types of the diseases that can threaten us with the excessive consumption of fast foods are tooth decay, constipation, obesity, high blood pressure, blood vessel blockage and heart disease, perhaps even colon cancer. Diseases encountered may be different for each age, the frequency of intake of fast food and fast food quantities consumed. Processed foods or fast foods and junk food are components that can be eaten directly without cooking it first. Some examples of fast food are packaged foods, canned foods, and foods like western culture such as burgers, nuggets, frozen food and hot dogs. Although these foods if seen in terms of physical indeed is attracts people to try it. But, the realities of that food are only food that does not provide sufficient nutrients to ensure we are in perfect health. Fast food or junk food is known as the food is mostly taken by people who do not have time to cook. The changing styles of human life towards modernity are the factor that fast food is required in daily life. Nowadays the changing of life styles are cause people to move faster all the time so there's no time to take healthy food or organic because the pursuit of modernity. Workload and want to do everything quickly led some people to make fast food as an option. Furthermore, this fast food is easy to be obtained and loved by all people regardless of children, adolescents and adults either male or female. Service is fast and quick by visiting a fast food restaurant is also a factor the fast food is preferred by everyone. In addition, the dumping of fast food such as nuggets, fish ball and hotdogs are very widely sold in supermarkets by many food manufacturing companies. Reasonable prices of fast food compared in a fast food restaurant are a factor to attract consumers to buy it at the market. In addition, fast foods that sold in supermarkets as well as promising and offering the same quality with the restaurant. There are some markets have been supplied the fast food to the restaurant. Canned or a packaged foods, the public can buy them in bulk at the supermarket. If no time, these foods can be eaten directly or heated for a moment and ready to serve. Within less than two minutes, the food can be directly touched. Unlike the usual way which is always done at home where we took a long time to serve a meal to eat, such as cooking rice and fry fish. Different about the frozen food such as chicken, fish and meat where we need to cook the food before consumption. But this is not a problem for consumers concerned about the life of a food freezing. It also facilitates the brand to keep the food in the refrigerator for certain periods. One of the reasons why fast food is not good for our health because these food containing excessive additive. Additives are chemicals added to food and medicine for the purpose of improving quality, helping to preserve, increase and enhance the taste of freshness. Additives that act as a dye was used to give a yellow colour to the butter from the 14th century ago. While salt was used as a preservative of meat and fish, and spices have been used to comfort food. Food additives are very important in the manufacture of food but when a lot of additives food is used in making food, it will affect our health. Uncontrolled use of additives can cause negative effects to consumers who take the food that containing a lot of additives. According to the Food Regulations 1985, the types of additives are frequently used in the production of fast food or junk food is the food preservatives, colouring, seasoning / flavour enhancer, food antioxidant and conditioner. Preservatives are used to control the growth of fungi, bacteria and yeast that functioning to increase the life span of the food. Fast food and junk food also have the preservative that works to increase the lifetime to survive for many years. If we compared the fast food meals with the fresh food, the quality of fresh food is better because it has enough nutrients to us, but lifetime or resistance of fresh food is less than fast for frozen foods. There are a lot of preservatives are often used in food production to increase life expectancy which is Calcium Propionate, Potassium Sorbate and Sodium benzoate. According to the standards of the United State Food and Drug Administration (USFDA), there are several types of preservatives allowed for use in foods such as Calcium Propionate, Potassium Sorbate, propylparaben, sodium benzoate, Sodium Diacetate, Sodium Propionate and Sorbic Acid. Preservatives are used in the manufacture of the foods must follow the correct syllabus and approved by the Ministry of Health to prevent harm to health. As consumers, we must be sensitive to the material and content contained within any type of food either fast food or frozen food sold in the markets. Therefore, the selections of appropriate foods promote the good health to all of us. Food colouring is used in the food to make it more attractive and help stimulate the appetite. Usually the curing process, the original colour of the food will be lost. In addition, the colouring is used by the manufacturer to improve the appearance of their products in order to attract consumers to buy their product. Most of the food colouring derived from natural substances. Flavour additives are herbs and spices that were used centuries ago to add the flavour of food. In the food industry, a lot of flavour either natural flavour or natural flavouring and chemical flavouring usually added in small quantities. These include the flavour enhancer, E101 (Riboflavin), E123 (Amaranth), E211 (sodium benzoate), E249 (Potassium Nitrite), E322 (lecithin) and monosodium glutamate (MSG) are used in foods such as dried soups, stocks, soups and sauces. For example, MSG is now available from starch, sugar, maize, sugar beet or turnip. The side effects often associated with MSG are different. The signs of this syndrome, including body heat in the back of the neck and body, and feelings of depression in the chest and face. However, scientific studies had failed to prove that these disorders are directly caused by MSG. Instead the study found that adverse side effects experienced by only a handful of consumers who are allergic to MSG. Thus MSG is considered safe and suitable for use as food additives. Fast food is containing the antioxidant that used to prevent the food from damage when the food contains fat or oil is exposed to air for a long period of time. Oxygen is present in the atmosphere would make the food rancid unless antioxidant used. It also helps maintain the freshness of food and antioxidant also plays an important role to maintain the vitamin content, especially vitamin A and C. In the other hand, frozen food is different with other types of food because frozen food does not contain any additives. Frozen food is known as the food that keeps in freezing to stop the growth of bacteria. Frozen food such as frozen chicken, meats, and fish are kept in the packaging designed for freezing. Hence, food conditioners are substances added to food for the purpose of technology to obtain the desired food such as emulsifier is an example was used to mix ingredients like oil and water are usually not mixed. While stabilizer has been used in products such as low-fat spreads, ice cream, mayonnaise and sauces for the purpose of producing the desired food. Some emulsifiers and stabilizer also serves as a thickening. Without emulsifiers and stabilizer, the food products with desirable nutritional value cannot be produced. In addition, fast food and frozen except for poultry, meat and fish is very popular with the excess fat. For example, a burger containing 35% or possibly more fat. Meanwhile, French fries are more in terms of properties of the tire is made from refined white flour, but it is soaked in fat, saturated fat typically promotes heart disease between 11 and 16 g of fat. For the cheese is decorated in the food, it means more fat. In fact, it is not real cheese but cheese mixed with bits of salt, sugar, emulsifier, lactic acid, preservatives, dyes and other additives. Excessive fat and salt can also cause high blood pressure and other diseases associated with it. Many people do not realize that the only fast food contains fewer calories and no nutrients. It is capable of filling the stomach and provides fuel for use by the body. For children, empty calorie snack foods can cause a lack of appetite on other foods that have a lot of nutrients and are needed by the body. Children should avoid eating sweet foods such as cakes, candy and syrup, carbonated water because it contains no calories. Such food just to fill their bellies for filling only and causing them to reject other nutritious as rice, vegetables and milk. There are some examples of food that we find in markets that contain the additive which are food preservatives, colouring, seasoning / flavour enhancer, food antioxidant and conditioner. Maggie or other types of mee is an example of fast food that can be explain that fast food is no nutritious for our health which containing MSG, a lot salt, wheat flour, palm oil, potassium chloride, stabiliser and emulsifier, potassium carbonate, sodium carbonate. Frozen chicken is an example of food that not uses any additives. Frozen food is kept in the packaging designing for freezing that function to stop the growth of bacteria. Rich in fat (about 60% of calories from fat). It provides protein, niacin and vitamin B6. Containing MSG and a lot salt. French fries weather we buy at the market or restaurant, it supply of potato protein and vitamin C. Too much fat and salt. Its golden colour is artificial. Kola based drink or other soft drink is very rich in sugar (large container contains 14 teaspoons of sugar. Chemical dyes and caffeine. The food was empty which no nutrition. Canned foods like sardine, bean and fruits are contains the Monosodium Glutamate (MSG), salt, the amino acid, glutamic acid and flavour enhancer. Canned food is design to extend the life span of the fresh food. In addition, the canned food is also containing the preservative that functioning to control the growth of bacteria and fungi. Packaged food containing a lot of food additive such as colouring, flavour and chemical substances such as sweeteners, salts, artificial flavours, factory-created fats, colourings, chemicals that alter texture, and preservatives. In conclusion, fast food is not the best food choices for content that is not nutritious. 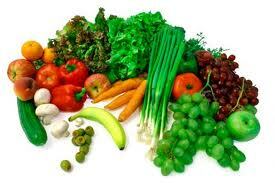 Instead, we are all encouraged to eat fresh food like fruits and vegetables are not cooked long. It is healthier and better for human health in the long run.